Just three years ago United States Attorney’s Office for the District of Maryland made national headlines after announcing dozens of indictments for corruption and drug trafficking at the Baltimore City Jail. 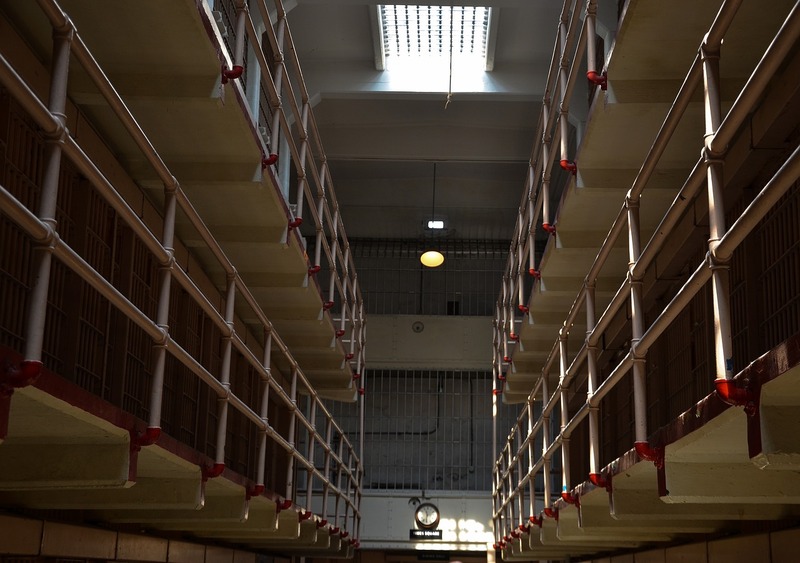 These indictments were the first major accomplishment of the Maryland Prison Task Force, a collaboration of law enforcement created in 2011 that includes the FBI, DPSCS, U.S. Marshal ‘s Service and the U.S. Attorney’s Office. The Task Force has remained active throughout Maryland’s jails, and recently made headlines for completing another massive corruption investigation, this time at the biggest prison facility in the state. The Eastern Correctional Institute or ECI is located in Somerset County on the Eastern shore, and houses over 3,000 inmates that have already been sentenced in court. It consists of two identical compounds with multiple housing units supervised by hundreds of correctional officers, and serviced by dozens of civilian contractors. With all the people moving in and around the facility it comes as no surprise that there would be contraband changing hands as well. It’s the scale of the conspiracy to move illegal goods such as drugs and cellphones within the facility that was far greater than expected. The Department of Justice announced that a federal grand jury came back with indictments on 80 different individuals for their role in a massive conspiracy to move contraband throughout ECI for profit. The indictments charged 18 correctional officers, 35 inmates and 27 so called outside facilitators for their part in the conspiracy, which focused around bribing the prison officers to bring drugs, tobacco and phones to inmates. The officers allegedly would bring in packages containing contraband through prison security, and then deliver the cocaine, MDMA, marijuana, suboxone or other items to inmates who would pay using PayPal. Officers were paid as much as $500 each time they brought a package inside, and completed delivery in locations such as dining rooms, inmate’s cells or offices within the housing units. Each defendant faces up to 20 years in federal prison for racketeering, a common charge used by the feds to severely punish those who take part in a large scale criminal conspiracy. The defendants also face felony drug distribution and possession with intent to distribute charges, which carries a 20-year sentence aw well. As of now, two of the corrections officers face additional time for the crime of depravation of rights under color of law for their role in facilitating the stabbing of two individuals who disrupted the flow of contraband. This charge exemplifies the type of public corruption that the DOJ and the FBI continue to focus on, and it gives their headlines a lot more teeth than just announcing a drug conspiracy. But really what this case boils down to is a massive law enforcement effort carried out by multiple agencies to stop inmates from getting high. This bust exposed nowhere near the level of criminal conduct of the bust at the Baltimore County Jail, as few jail conspiracies could ever rival that amount of corruption. Since the state created, and is paying for, a prison task force they will have to justify their existence and we should continue to see glorified jailhouse drug busts filed under the public corruption headline. Benjamin Herbst is a federal criminal defense lawyer that also handles state cases in Maryland for all charges. On the federal level Benjamin represents clients charged with all offenses including conspiracy, drug distribution and possession and DUI. Contact Benjamin for a free consultation at anytime. Federal Indictments Charge 80 Defendants in Alleged Racketeering Conspiracy at Maryland’s Eastern Correctional Institution, justice.gov.